I think giving the nowinstock link is a good idea. 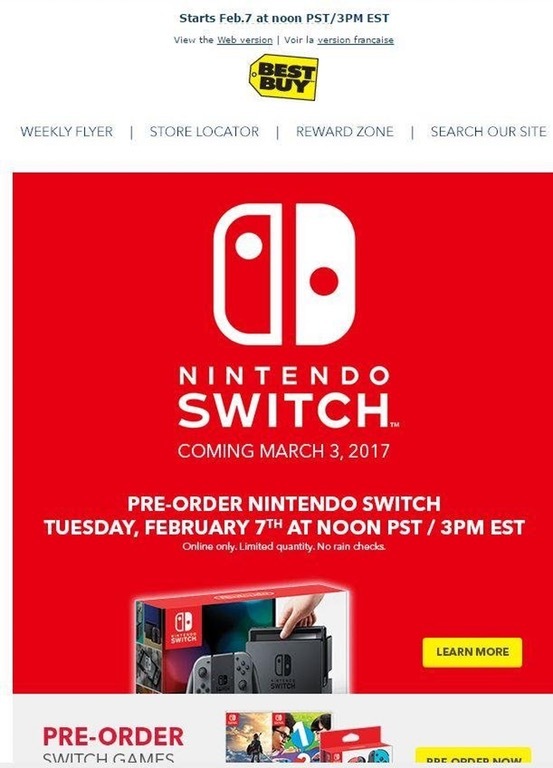 People keep asking if they can still preorder the Switch and the Master/Special edition of BotW. Nowinstock has a section for both. That's the site I always use when I want preorder and regular stock notifications, and I really stand by it. There was stock available today for the Special Edition BotW at Toys R Us. So there's a strong chance more will pop again soon. Edited by dreamerabe, 07 February 2017 - 04:37 AM. I thought some of you guys might appreciate this information. http://www.gonintend...edition-goodies - The launch edition of The Binding of Isaac: Afterbirth on Switch comes with stickers and "collectible alternate box art". The 3rd one is The (AQUA) Antifouling one only found on Playasia for now. These are the same type of Premium Screen Protectors you could originally buy for the VITA 1000 model when it launched. They eventually stopped making them & weren't around by the time the 2000 model came out.